Less than three years ago, Lamar Odom shot 53 percent from the field for the defending champion Los Angeles Lakers, he averaged 14.4 points and nearly nine rebounds in just 32 minutes a contest, and he rightfully ended up winning the NBA’s Sixth Man of the League Award. Since then, Odom has been traded, released, he’s played for two NBA teams, he’s watched as personal relationships both flailed away and eventual failed on basic cable television, amid rumors of substance abuse off the court. And we’ve watched as he’s looked a shell of his former self on the court, hitting far less than 40 percent of his shots in stints with the Dallas Mavericks (themselves a defending champion, in 2011-12) and Los Angeles Clippers, culminating in Odom receiving little to no interest from NBA teams as the 2013-14 campaign dawned. Desperate to get his life and on-court stylings back in gear, Odom has decided to take his game overseas. Not unlike former NBA players like Michael Ray Richardson and Roy Tarpley – who, like Odom, had been suspended during their careers for substance abuse – and former NBA washouts like Stephon Marbury and Allen Iverson, Odom has agreed to play international ball. The middling Spanish League club Baskonia has decided to sign Lamar to a two-month deal. Odom, 34 and a two-time NBA champion with the Lakers who has also played for the Dallas Mavericks and Miami Heat, was expected in the Basque capital of Vitoria this week, and could make his debut on Saturday against Valladolid. ''We're very happy to have signed a very important player who has had a long and fruitful career in the NBA,'' Baskonia president Josean Querejeta said in a statement. Odom is one of the more skilled players of his generation, and though he turned 34 before the NBA’s season began, there is no reason why someone of his playing caliber shouldn’t be on an NBA roster – utilizing his smarts and versatility to contribute amongst the youngsters. 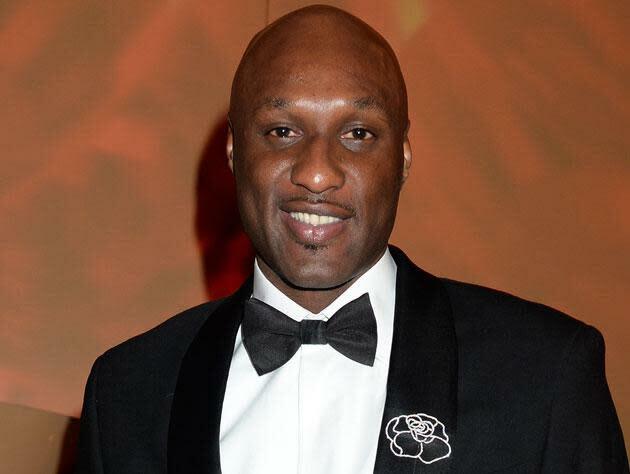 Amid much personal turmoil, Odom’s career sharply tailed off following that Sixth Man Award win. Though the 2011-12 Mavericks were coming off of an NBA championship (they even knocked Odom’s Lakers out of the playoffs in Lamar’s final season in Los Angeles), he appeared to sulk through his lone season with the Mavericks, forcing owner Mark Cuban to cut Odom just before the playoffs began. The Clippers, hoping for a hometown rebound (Odom played in Los Angeles for all but one season between 1999 and 2011), took a chance on Lamar last season, but he responded with play only slightly superior to his time in Dallas. The spark, for whatever reason, wasn’t there. If anything, a move to get some reps in and a chance to prove his mettle on a pro stage could be the first step in an NBA comeback. Because, again, even at Odom’s age he should be contributing to an NBA roster with his ability to push the ball, rebound, and find the open man. And, if you’ll allow rumor to influence a potential scouting report, it is probably for the best that Odom remove himself from the NBA grind for a spell, and focus solely on basketball. It’s a sport that he has long sought solace in, amongst a life that can be charitably described as “turbulent.” Turbulence that, for all his cable TV and tabloid ubiquity, often is of no fault of Odom’s. Lamar Odom still has the potential to work as a great basketball player. Hopefully this move, to the Spanish League, can lead toward both Odom and the NBA to re-realizing that.